which uses Vue 2, Vuex, Vue-router and Webpack 2. 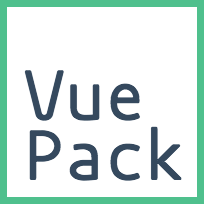 Here's the plan for VuePack 4.0, you can support my work by donating or joining the development. Check out the docs for more usages. Install git with unix tools before getting started. If you did not enable Electron support, the dest folder is ./dist, otherwise it's ./app/dist. ./app folder only exists when you enabled Electron support. You want to customize the output of index.html, simply modify index.html, see more at html-webpack-plugin.